The Museum archives in Winchester include over 23,000 photographs and a huge amount of material – personal letters, documents, diaries, memoirs and maps – relating to The Royal Green Jackets and its antecedent regiments, principally The King’s Royal Rifle Corps and The Rifle Brigade. 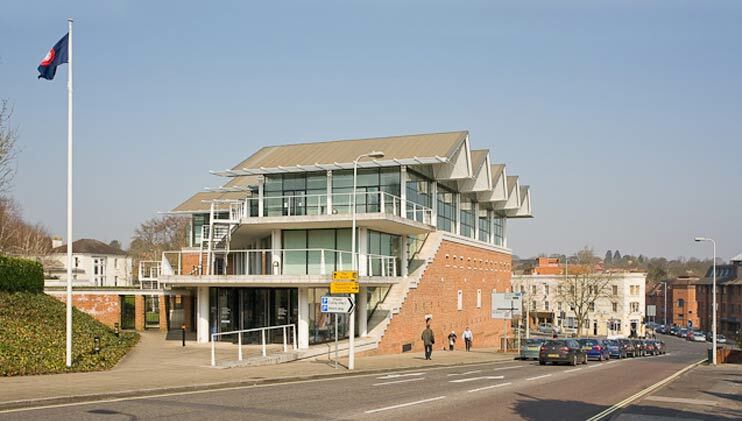 The archives were deposited at Hampshire Record Office (HRO) on 13 December 2012. Access to the archives may be gained during HRO’s normal opening hours – see http://www3.hants.gov.uk/archives/visiting-hals.htm for information, including how to obtain a reader’s ticket (essential for accessing archives). The Royal Green Jackets (Rifles) Museum holds, separate to the archives, a substantial library of books, including regimental histories and chronicles, and other reference material with which to answer research enquiries. The Museum archives covering The Oxfordshire & Buckinghamshire Light Infantry are held on loan by the Soldiers of Oxfordshire Trust (SOFO) in Woodstock. Researchers requiring access should visit http://www.sofo.org.uk/research.php for more information. 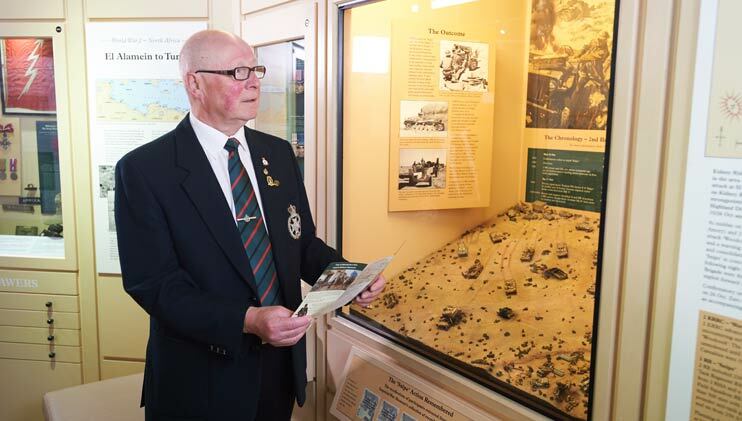 The Museum remains a most useful first port of call for those seeking information about the actions, battles and engagements of the battalions of the Regiment and its antecedent regiments, or to research any other matter relating to the history of the Regiment. Researchers whose enquiries cannot be answered by the Museum staff without access to the archives will be referred to HRO or, in the case of The Oxfordshire & Buckinghamshire Light Infantry, to the SOFO Research Centre in Woodstock. The Museum and the archives at HRO are a less useful source of information about former members of the Regiment and its antecedent regiments, although the Museum holds a fairly comprehensive record of those who served as officers. Research is carried out by Museum staff and experienced volunteers with considerable knowledge of the history of the Regiment. A charge is made for handling enquiries to cover costs. Basic Charge: £30 for the first hour or part thereof, and £10 for each subsequent half hour or part thereof. Special rates may be applied to those who wish to initiate enquiries for commercial purposes and/or for financial gain – authors, media researchers and others. To avoid misunderstanding, such persons are requested to declare their interest at the outset. It is usually possible, within the constraints of copyright law, for individuals wanting copies of material held by the Museum to be provided with such material, but for personal research use only. A fee, including a handling charge, will normally be raised for providing copy material. There is no set scale of fees as the charge will be dependent upon the nature of each task and the cost of providing it. Special rates may be applied to those who require material reproduced for commercial purposes and/or for financial gain – authors, publishers, media researchers and others. To avoid misunderstanding, such persons are requested to declare their interest at the outset. Your name and address, telephone number and e-mail address. Whether or not you are a son/daughter or grandson/granddaughter of a former member of the Regiment and/or have any other Regimental connections. As much background information about your enquiry as possible. In particular, be sure to tell us what you already know. Try and be specific about regimental and battalion titles and numbers, the names of persons and places, and about dates. The more information you provide the better. The less information you provide, potentially the more difficult and longer it will take to provide you with an answer – and the more costly. Be explicit about the question(s) you want answered. Please be sure to enclose a cheque for £30 made payable to “RGJ (Rifles) Museum ”, to cover the initial research fee. Research will not be initiated in response to enquiries that fail to be accompanied by payment of the fee. If preferred, payment may be made over the telephone (01962 828549) by debit/credit card. Enquiries will be answered as soon as possible after their receipt. Depending upon the volume of enquiries this can take some weeks. Receipt of enquiries that are unlikely to be answered within three weeks will be acknowledged with a letter indicating when a response can be expected. Enquiries which are likely to require research exceeding one hour, but not more than one and a half hours, will be completed without reference to the enquirer, with the payment of an additional fee (£10) requested at the time of response. Enquiries that are likely to give rise to greater charges will not be initiated without the agreement of the enquirer. If a response to an enquiry is likely to incur significant additional cost, for example, multiple photocopying, colour printing or photographic reproduction, and they are likely to exceed a few pounds, the enquirer’s prior approval will be sought. Enquiries which, from the outset, it is clear cannot be answered or need to be referred to HRO, will normally result in the immediate return of the research fee. In instances where research has been initiated, but the answer is not forthcoming, the research fee will usually stand. Visitors and/or researchers intending to visit the Museum in search of answers to their questions are advised to telephone the Museum before their visit in order to make an appointment with a member of staff able to handle their enquiry. This is best arranged in a telephone call to the Curator (Tel: 01962 828549) or the Museum Archivist (Tel: 01962 877165). Visits to the Museum’s archives are by appointment only. For more information click here.